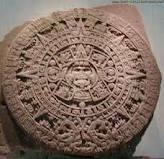 The Inca calendar exists because the Incas follow the stars from rudimentary observatories. They follow the movements of the sun, moon and stars. They follow, register and predict all types of events, like the solstice and equinox. The night time calendar is used to mark the days of the all festivals. Since this calendar was based on moon it had only 328 days. Which meant twelve months of 27,33 days. Since lunar month is actually 28 days long, so it matches with the lunar months. It was called Capaq Raymi, as the Capaq Raymi festival took place in this month. Capaq Raymi means Great Feast of Sun. They sacrificed gold, silver and lives to Sun. As per solar Calendar this was the month of Coca Planting. Inca did their fasting and penance on this month. They offered sacrifices to Viracocha and covered their bodies with ashes. nca solar month : Protecting corn field from deer, foxes. They enjoyed the	Inti Raymi festival. It was the biggest festival of the year. Sacrifices were made to all the Gods in this month, specially to those who were related to force of nature. This time great feast for moon was celebrated. Also this is the month of purification. Cusco is purified. The festivals of dead were conducted in this month. They carried the mummies of dead kings only. Then they were offered foods. People sang and danced around those mummies in the main square.